Wascomat On-Premises Laundry Dryers are precision-engineered for efficiency, ease of use, and superior drying results. They are your best choice for reliability, durability, and customer satisfaction. Wascomat’s commercial TD dryer models are precision-engineered for energy efficiency and superior drying results. 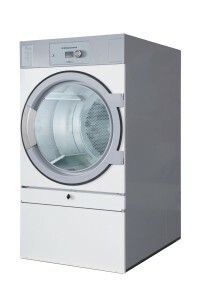 Wascomat has a unique option as well: RMC stops the dryer automatically when the desired moisture level in the fabric is reached.